Our nation has a short memory when it comes to race relations, according to an expert in social justice who will deliver the Martin Luther King Jr. Intercultural Lecture at Elmhurst College. Braxton said issues of racial intolerance and violence in the last few years should not come as a shock despite being on the heels of America’s first black president. Braxton said if not weeks, then months, after electing our first black president, America self-proclaimed that its racial issues were a thing of the past, failing to look back in history. He said after the Civil War there were bold progressive steps taken to end racial division only to have some of the nation’s worst violence unleashed a few years later. 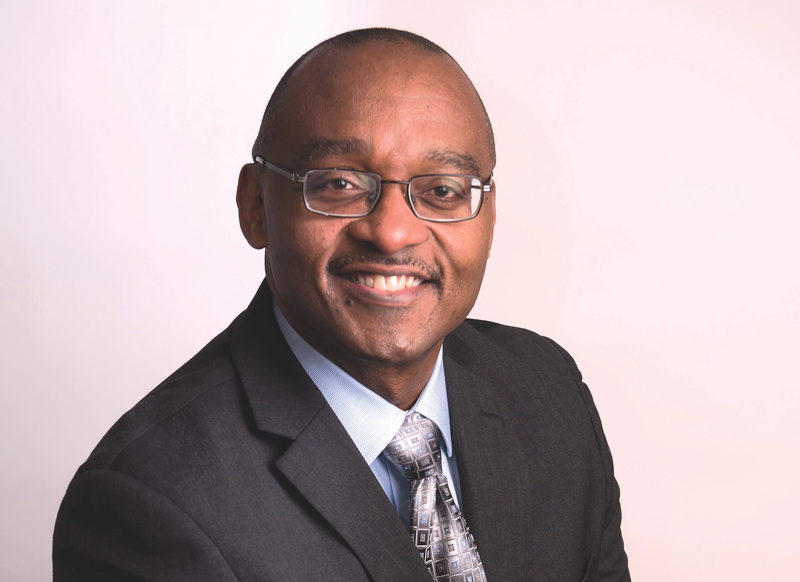 Braxton will explore the moral dimensions of effective leadership in the public sphere when he presents “Blueprint for the Beloved Community” on Feb. 20 at Elmhurst College. “The basic aim is to set forth the leadership qualities and habits of the heart and mind necessary for us to create a world that values diversity instead of vilifying it,” he said. He said racial healing is needed, as there is brokenness in so many communities and individuals. He said his talk at the college is a “wonderful opportunity” to reach the next generation of individuals who will carry the torch for social justice. He said that civil rights leader Howard Thurman, who King mentioned in his speeches, would say that young leaders should not just curse the darkness, but light candles. Braxton is director of the Center for the Study of African American Religious Life and the supervisory curator of religion at the Smithsonian National Museum of African American History and Culture in Washington D.C. He has spent his life investigating the intersection of religion and social justice. He holds a doctorate degree in New Testament studies from Emory University and is the author of three books and numerous essays on religion and social justice. His book “No Longer Slaves: Galatians and African American Experience” and “Preaching Paul” are used in divinity school courses. Braxton spent 2012-14 as a Distinguished Visiting Scholar at McCormick Theological Seminary in Chicago. He said the race issues the city has had, including police relations with the black community, and a new mayor coming in, might be a chance for Chicago to hit the reset button. “I think there is an opportunity for Chicago to rethink what it might mean to be a crossroads city, a Midwestern sign post, a port of culture and commerce,” Braxton said. He said Chicago can look to its future rather than its troubled past. “Rather than look at the city’s deep divide the city can examine what heartfelt common ground looks like,” Braxton said. The scholar said Chicago has planted metal flags in the ground that say, “This neighborhood has people of this nationality.” Class, race and gender identify neighborhoods, Braxton said. He likened the city’s current racial issues to the Chicago blues. “The blues are not just about the pain, they are about possibility,” Braxton said. Although the blues were not created in Chicago, Braxton said, they found a home here because of the notion that addressing deep pain is done in hope of embracing again. He remembers Chicago fondly because of his fellowship work; mentoring from B. Herbert Martin, pastor of Progressive Community Church; and the restaurants. 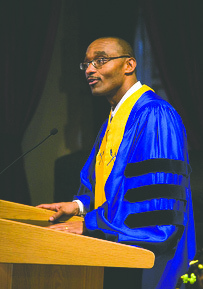 Baxter noted that his time at McCormick Seminary led to creation of the vision statement for the church he leads in Baltimore. Tagged with: African American Religious Life chronicle media Chronicleillinois.com DuPage Chronicle Elmhurst College Illinois Lecture Martin Luther King Jr.